COLLEGE PARK, Md. - C.D. "Dan" Mote, Jr., former president and Regents Professor of Mechanical Engineering at the University of Maryland and the A. James Clark School of Engineering, has been elected as the next president of the National Academy of Engineering (NAE). His six-year term will start July 1, 2013. Mote succeeds Charles M. Vest. "It is inspiring to be selected from among the nation's most distinguished engineers to lead the National Academy of Engineering," said Mote. "It is an opportunity I never expected, but which I am looking forward to greatly. The National Academy has a vital national leadership responsibility because engineering is a key to our national competitiveness, security and quality of life." The National Academy of Engineering is part of the National Academies, which also include the National Academy of Sciences, Institute of Medicine, and National Research Council. These independent, nonprofit institutions advise the government and the public on issues related to science, engineering, and medicine. NAE members are the nation's premier engineers, elected by their peers for their distinguished achievements. Established in 1964, NAE operates under the congressional charter granted to the National Academy of Sciences in 1863. The NAE president is a full-time employee of the organization at its headquarters in Washington, D.C., and also serves as vice chair of the National Research Council, the principal research arm of the National Academies. A leader who has long advocated for education and increased support of basic research, Mote served on a National Academies' committee in 2005 that produced the highly influential report, Rising Above the Gathering Storm. It proposed a series of steps to increase research funding, invest in K-12 science and math education and enhance opportunities for entrepreneurship. As chair and co-chair respectively, Mote also led National Academies' science and technology research and workforce reports by the committee on Global Science and Technology Strategies and Their Effect on the US National Security and the committee on Science, Technology, Engineering, and Mathematics Workforce Needs for the US Department of Defense. He has testified before Congress and been featured in the news on issues ranging from education funding models to deemed export controls. 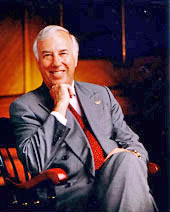 Mote served as University of Maryland president and Glenn L. Martin Institute Professor of Engineering in UMD's A. James Clark School of Engineering from 1998 to 2010. Under his leadership, the university's research funding increased by more than 150 percent and the university greatly expanded partnerships with corporate and federal laboratories. Mote also negotiated establishment of the University of Maryland-China Research Park, connecting Maryland and Chinese companies for joint ventures. Stressing the importance of closing the achievement gap, Mote helped UMD achieve the fourth highest graduation rate for underrepresented minorities in 2007 among public research universities. Internationally recognized for his research on the dynamics of gyroscopic systems, including high-speed translating and rotating systems, and the biomechanics of snow skiing, Mote has authored or co-authored more than 300 publications, holds patents in the United States, Norway, Finland and Sweden, and has mentored 58 Ph.D. students. Mote was elected to the NAE in 1988 "for analysis of the mechanics of complex dynamic systems, providing results of great practical importance in vibrations and biomechanics," and is the current NAE treasurer and a member of the National Research Council's Governing Board Executive Committee. In addition, he co-chairs the Government-University-Industry Research Roundtable and Committee on Science, Technology, Engineering, and Mathematics Workforce Needs for the U.S. Department of Defense and the U.S. Defense Industrial Base. His past Research Council service includes membership on the Committee on Science, Engineering, and Public Policy and chairmanship of the Committee on Global Science and Technology Strategies and Their Effect on U.S. National Security. His many professional honors include receiving in 2005 the NAE Founders Award and in 2011 the highest honor in his field - the American Society of Mechanical Engineers Medal. Mote received his B.S., M.S., and Ph.D. in mechanical engineering from the University of California, Berkeley, where he served on the faculty for 31 years and held positions as chair of the department of mechanical engineering, president of the UC Berkeley Foundation, and vice chancellor. He has received three honorary doctorates and the Berkeley Citation, an award from the university similar to an honorary doctorate.